Most people in Greater Toronto Area, or anywhere in the world, find packing and moving a tiresome and intimidating experience. 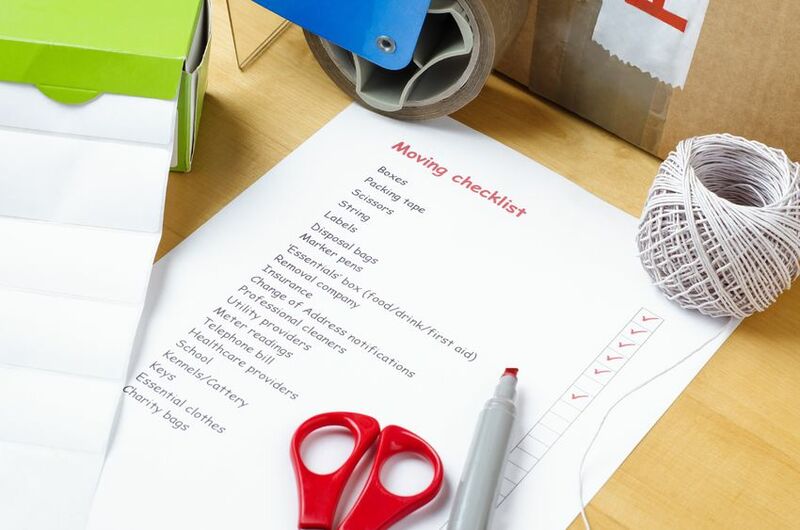 However, you can minimize the hassles associated with packing by using a meticulously designed moving checklist. Getting the right moving boxes is a crucial first step to moving process. Do not hesitate to spend a good amount for buying good moving boxes. However, you can also save money by approaching the free section of Craigslist and clothing or warehouse style stores and grocery stores. Over a period of time, you would have accumulated a lot of things you mo more need or use. It is a good idea to either donate them or sell them so that your moving process becomes easier, economical and the new home is less cluttered. If you are able to sell them, you will also be able to get some extra cash to use on moving. Adopt a lavish time frame and workout the different tasks in a planned and well organized manner based on the priorities. Right from contacting the packers and movers, you need to plan what is to be done first and next. A good time frame can avoid last minute rush ups. Don’t forget that haste makes waste. Read some useful moving tips that can come handy to plan. Certain tasks are important and need to be accomplished well in advance like defrosting and cleaning your refrigerator at least 24 to 48 hours before the moving begins. Approach the right companies for moving help in time so that you get a well planned support. Before you disconnect and packing the electronic gadgets, it is good to picture their cords and the back of television on your camera so that while installing or assembling them back you will know where they are go. This is a time saving technique that can also ensure you do not connect them in a wrong manner. Place your clothes on hanger in wrapped condition in garbage bags. While unpacking them in the new location you can take off the garbage bags. It is also a good choice to label them so that you will know which stuff is whose. Since the foam disposable plates are already in plate shapes, they can be used to pack kitchen plates. Place these plates in between each of the plates that you will stack in a box. If you can procure wine cases, they are ideal choices to pack glassware. Organize your glassware in these cases and it is very easy to stuff newspaper in between compartments so that you achieve the padding effect necessary to protect them. It is always a good idea to segregate the items room wise and pack them together so that you do not mess up the new home and that the unpacking and reorganizing in the new location comes handy. Different furniture and other items you dismantle for moving might have fasters, screws and bolts. Keep all of them well organized after removing from the furniture. This is necessary to ensure they do not get mixed up as well as lost. After all you must be able to get them back easily while assembling and installing the stuff back.